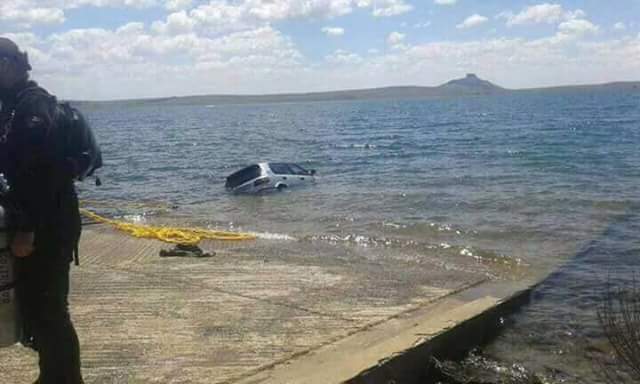 In what will come across as a shocking development, the bodies of a 35-year-old mother and her three sons in a submerged car were found in the Sterkfontein Dam Nature Reserve outside Harrismith, Free State police said last Saturday. Local reports say Private towing services assisted to retrieve the car from the dam. Inside the car, four bodies, were identified as those of a Portia Mzizi and her three sons aged 13, eight, and five from Lusaka section in Makwane village. The deceased were last seen at the dam at about 9pm on Friday. A separate case of arson was registered for investigation on January 5 after the family house and a Toyota Siyaya minibus taxi belonging to the dead woman were found burnt. No one was at the house at the time of the incident. Further investigation would determine whether there was any connection between the two incidents, as well as the motive behind both incidents, Mbambo said. According to the woman's nephew, she was very emotional before her death. Mzizi’s nephew, who spoke under anonymity said he last saw her on Wednesday when she told him that her husband had an affair with another woman. “As far as we know, Portia drove her car to the dam herself, because she was so heartbroken about her husband,” says the nephew. Mzizi and her three son’s funeral will be on Saturday.